Fun Run/Color Run is June 4, 2019. All grades run laps around the school to show our appreciation for all our pledges that go to helping tuition stay low. 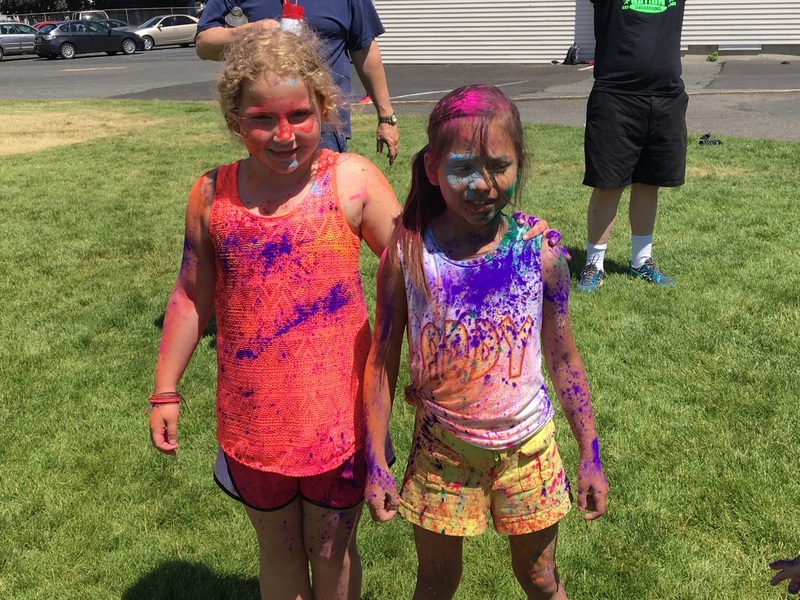 If a child has received $150 in pledges, they are able to join in on the color run (colored powder that is tossed while they run an obstacle course). They will need to bring an extra pair of clothes to change into. Otherwise they will look like a rainbow for the rest of the day. Also for the Fun Run, we do a water toss, where kids get to throw water from cups at each other. Kids who get $100 in pledges are able to join this. $600 in pledges equals a pie to the principal's or participating teacher's face.